For The Straits Times, Singapore. 22 July 2016. The civil lawsuits filed by the US Justice Department on 20 July 2016 to seize assets worth over US$1 billion stolen from Malaysia’s state fund, 1MDB, are sending tight ripples across the globe. Not only are these the largest set of cases brought to court under the Department’s Kleptocracy Asset Recovery Initiative, the 1MDB fund started in 2009 ostensibly for national development purposes by Malaysian Prime Minister Najib Razak soon after he came to power, is being investigated in at least six other jurisdictions, including Singapore, Switzerland, Hong Kong, and of course, Malaysia. The alleged offenders involve “an international conspiracy to launder money misappropriated from 1MDB”, mentioned by US Justice Department include the Prime Minister’s stepson Riza Aziz, the founder of Red Granite Pictures, whose film production “The Wolf of Wall Street” was nominated for an Oscar, Malaysian financier Low Taek Jho, and two government officials from Abu Dhabi, Khadem Abdulla Al-Qubaisi and Mohammed Ahmed Badawy Al-Husseiny. In Malaysia, while the repercussions of alleged wrongdoings involving 1MDB have seen top politicians who had openly voiced criticism against the Prime Minister’s handling of the fund sacked, and other heavy-handed actions taken against whistle-blowers, all the legal avenues within the country for bringing perpetrators to court have proved ineffective. Internationally, threats of legal action by Malaysian authorities against the Wall Street Journal, which had along with the London-based Sarawak Report website been publishing reports on the highly dubious behaviour of key persons in 1MDB’s international network, had over many months been repeated but never carried out. In Singapore, investigations into 1MDB have been called by state prosecutors as “the most complex and largest money laundering case ever to have taken place in Singapore”. The Monetary Authority of Singapore has withdrawn the license of the Swiss bank, BSI SA, to operate locally, and senior BSI officials are being investigated. Two have been charged. The details now provided in the cases filed by the US Justice Department are astonishingly thorough. These particulars delivered so publicly cannot but stimulate and hasten the execution of further legal actions in other countries, each building its case with help from revelations made by the others. In Switzerland, the attorney general’s office began investigations against two former Malaysian officials in August 2015 and have since indicted at least two further suspects. The Swiss allege that 1MDB had violated their embezzlement laws when money stemming from a fraudulent bond agreement it made with UAE officials was routed through Swiss banks. Switzerland has also asked Luxemburg and Singapore for assistance. Luxemberg has also responded and is investigating whether hundreds of millions of dollars sent to one of its banks did in fact originate from 1MDB. Hong Kong’s anti-corruption agency as a rule does not provide details on cases under investigations, but bank accounts there of unnamed individuals related to 1MBD were reportedly frozen in May this year. 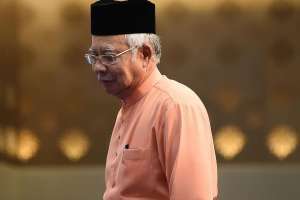 In Malaysia, Prime Minister Najib was investigated after it became known that US$681 million had been transferred to a personal bank account apparently started for that purpose. This led to the investigating attorney general Abdul Gani Patail being replaced. The new attorney general, Mohamed Apandi Ali, soon found the Prime Minister innocent of any crime. The US lawsuits do state that US$681 million was transferred to the bank account of “Malaysian Official 1”, who was “a high-ranking official in the Malaysian government who also held a position of authority with 1MDB”. The implication could not have been more direct, short of his name being mentioned. In Malaysia, the 1MDB saga has had deep repercussions on the political scene, and had led to strategies and counter-strategies between those opposed to the prime minister, and those calling for a thorough and independent investigation into the goings-on of the ill-fated investment fund. It led former Malaysian Prime Minister Mahathir Mohamad to tour the country collecting signatures calling for the removal of his erstwhile protégé, Najib Razak. When this failed, Mahathir is taking the initiative to form a new political party to work with his former political enemies in the opposition parties to topple the Najib administration. The ripples emanating from 1MBD across the world look poised to turn into waves, even a tsunami. The writer is Deputy Director of ISEAS-Yusof Ishak Institute, Singapore.